Fall is a great time to pick up a book and read with a child. Do you have favorite October or Halloween books? 1. The Gruffalo. When Mouse takes a stroll through the woods, he meets a fox, an owl, and a snake who all want to eat him! So Mouse invents a gruffalo, a monster with "terrible tusks and terrible claws, terrible teeth, and terrible jaws." But will Mouse's frightful description be enough to scare off his foes? After all, there's no such thing as a gruffalo . . . is there? 2. How Many Pumpkin Seeds? Mr. Tiffin and his students explore skip counting and estimation in a fun pumpkin-themed classroom experiment! This book makes a wonderful read-aloud companion to any math or science curriculum, and it's a fun way to reinforce counting skills at home. 3. Room On The Broom. The witch and her cat are happily flying through the sky on a broomstick when the wind picks up and blows away the witch's hat, then her bow, and then her wand! Luckily, three helpful animals find the missing items, and all they want in return is a ride on the broom. But is there room on the broom for so many friends? And when disaster strikes, will they be able to save the witch from a hungry dragon? 4. From Seed to Pumpkin. In the fall, pumpkins are everywhere: in the garden, in the supermarkets, and on doorsteps. But do you know how they grow from a tiny yellow seed to a pumpkin? This is a Level 1 Let's-Read-and-Find-Out, which means the book explores introductory concepts perfect for children in the primary grades and supports the Common Core Learning Standards and Next Generation Science Standards. 5. Big Pumpkin. The witch has grown the biggest pumpkin ever, and now she wants to make herself a pumpkin pie for Halloween. But the pumpkin is so big she can't get it off the vine. Fall is one of our favorite times to engage in reading a good book. We have a book area set up in our home classroom for easy reading opportunities. We read at least 20 minutes a day and log all of our books in our October reading logs. After reading for 20 minutes we fill out our reading log daily. 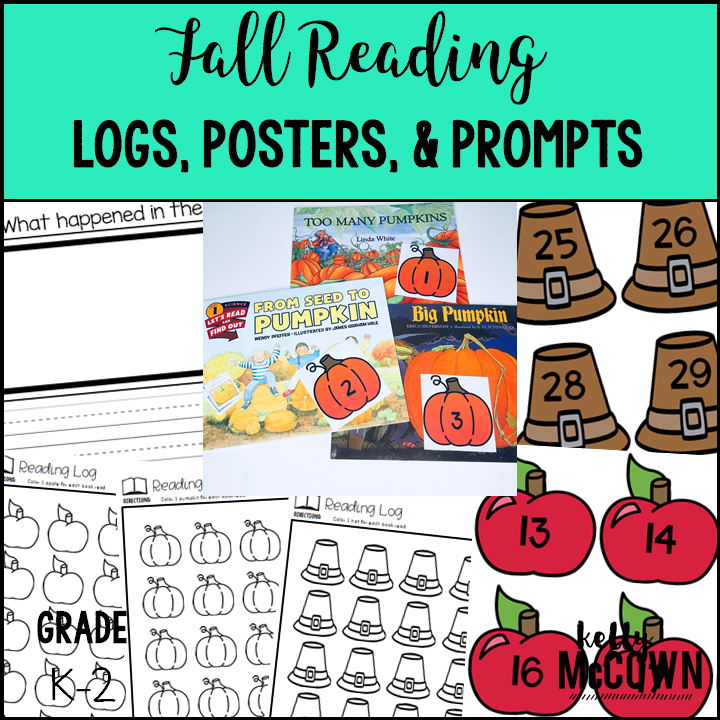 Click HERE to download the Fall Reading Logs, Posters, & Prompts. 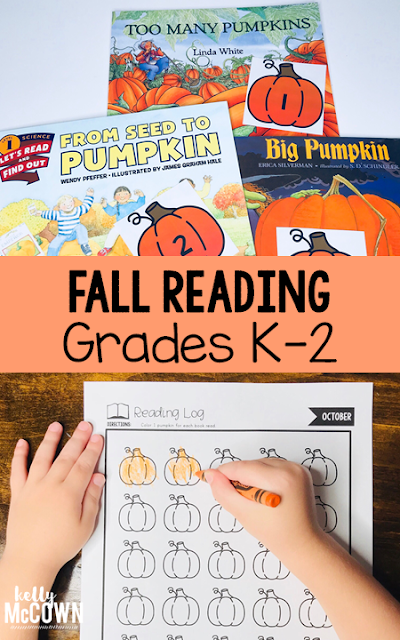 These reading logs help keep us on track to completing our monthly reading goals. We display the poster to show our accomplishment of reaching our monthly reading goal. 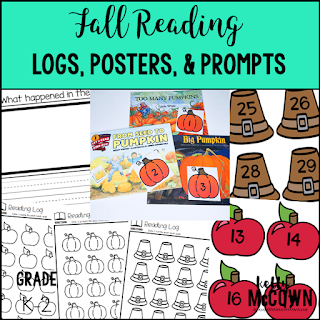 Click HERE to download the Fall Reading Logs, Posters, & Prompts. These reading tools can help your students be successful in setting and attaining monthly reading goals. Readers are leaders!